If I were to start with all things rope, I would first gather around six or more major texts. Then I would start sorting through periodicals at the National Emergency Training Center Learning Resource Center(LRC). The LRC at the National Fire Academy in Emmitsburg MD, is the closest thing to a centrally located library for the fire service. They have a host of librarians that offer research assistance and will be happy to copy or send you material on interlibrary loan. You can search the library through their website. This would yield periodicals dealing with rope rescue such as Fire Rescue Magazine, Fire Engineering, Technical Rescue Magazine, the National Speleological Society Vertical Section, and old NASAR publications. These sources have some great authors and will show you the history of modern rescue. 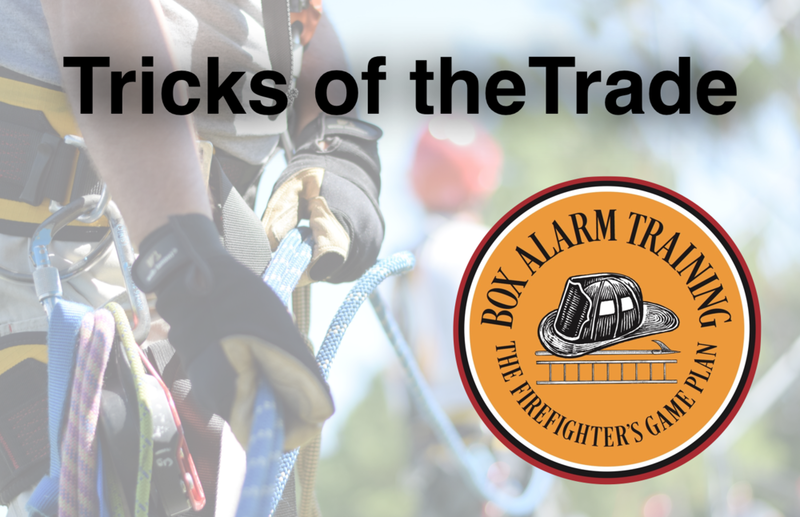 But if you really want to geek-out and get in the weeds- you have got to study the material coming out of the International Technical Rescue Symposium(ITRS). Here you can study many works from the O.G.s of rescue. Dill, Larson, Hudson, Frank, Thorne, Vines, Mauthner, Smith, Padgette, and more all reside here. This annual symposium is limited to 150 participants, has 15-20 presenters, and it is here that information and research gets its peer-reviewed acid test before it goes mainstream. In order to take your research beyond this level, you probably have to talk to the “original gangstas” themselves or perform original research on your own. . . There is a huge need to capture some of this institutional knowledge before key organizational members hang up their gear for the last time. Regional barriers that prevent the spread of life-saving information must be overcome. We need platforms to share a disseminate tools, techniques, and tricks of the trade. One of these areas that seems very regionalized is heavy rescue. What is a trick that makes your life easier and no one seems to know about it, but your team? Do you have method for running a breaching tool that saves time and maintenance? Is there a new tool that you found closes a capability gap? Have you learned new tricks from an old tool- such as the Griphoist? As US&R teams immerse themselves in flood and swiftwater rescues, do you have a lesson that can save future lives? We want to collect these ideas from all walks of technical rescue and share it with the community. Fill out all the information in the Training Bulletin survey and share with others. We will take top tips and post them here on BoxalarmTraining. Additionally, we are looking for tips and trick that could be share with the National US&R System. If pertinent and valuable, your content could appear in classes or the US&R Field Operations Guide(FOG). We may contact you for more pictures or clarifications. Credit will be given and cited and intellectual property will be honored. We are looking to foster a since of sharing of rescue knowledge- especially when seconds and lives matter. Why do some practitioners insist on tying a safety or back-up knot in the figure-eight family and some other knots? An overhand safety in the running part of the rope over the standing part does not get actuated. It takes more time to tie the knot properly. It requires some to untie and re-tie to get the tail length correct. Strength is not added to the figure eight with a safety. I have seen people even load the safety side of the knot when tied in the middle of a rope?! Perhaps we should focus on the knot having low gain and being dressed and tied correctly. Why does the Bowline family of knots get so beat up and ostracized by parts of the rescue community? With the addition of a Yosemite Finish, a double-overhand bend, or slight modification of the knot (double loop / high strength), the bowlines can be reliable, strong, and easy to untie. There are so many varieties of the knot that they can be tied into multi-point anchors, tied in-line, hard-tied into a fixed rope system, and many others. Why does the Munter Hitch get such a bad rap? Whistle test? -Perhaps not. Two-person load? –Absolutely. We catch 600-800 lb. loads all the time using the Munter Hitch. The key to success is that the operator must manage slack and plan for some type of edge friction into the system. We use one change-of-direction carabiner. As for the whistle test- what happens if your Engineer is going code-3 into a curve and let’s go of the wheel or has a heart attack? Does the whistle save your people? Should we back-up our drivers with safety-drivers? Or maybe take two SCBAs in a fire. I like many devices and tools out there, but the Munter Hitch has no cost, can catch big loads, can act as a Progress Capture Device, and facilitate twin-tensioned systems in lowering and hauling applications. I know everyone in US&R has cut-off saws that will allow you to cut just under 5” of depth. Have you ever heard of, or tried a ring saw? As technology improves why has a ring saw not made it into your cache yet? You can achieve 10” of cut depth on a platform that runs on gasoline or hydraulic power. It might really save a team a good amount of time on the dreaded step cut. On a similar note, why is your team only sporting the 27” long Petrogen Torch that comes in the US&R Ensemble but train and work cutting in confined areas such as a 36” culvert. Thirty inches of torch in a 36” of culvert is unwieldy. Why has your team not looked into the 7” Breaching Torch that Petrogen manufactures. It has a 45-degree head rather than the 90-degree. It might be a handy enhancement to your cache when you are tunneling through rebar like pick-up-sticks. How about- Why is the central mode of operations, in training and response, of some overland SAR teams a grid search? With training organizations like NASAR; and programs like FUNSAR, SARTECH Exams, and Managing the Lost Person Incident, there are too many better uses of resources than walking a dress-right-line in the woods. Save that for thorough secondary and tertiary searches or when a rescuer loses his flashlight or keys. Rapid / hasty searches, hailing searches, trailing / tracking, qualified canine assets, and technical search assets are all better options and require diligent practice and training. Active searching and following a heading are day-one skills. Modern searches even use victim profiling and actuarial tables to predict traits and behavior. Have you heard about aerial drones in SAR? Let’s elevate our profession by incorporating modern and practical methods. Why are we trained to perform a Vent-Enter-Isolate-Search (VEIS) operation with a confirmed child in a working house fire, but we do not enter a confined space with a patient guppy-breathing until it is too late? 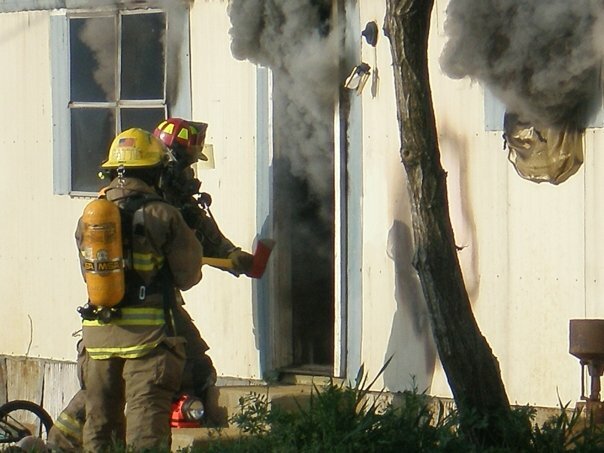 Firefighters will even circumvent two-in-two-out to save a life in a fire. Permitted Confined Space: a confined space with possible mechanical hazards, low oxygen, electrical hazards, flammable atmospheres, and other such hazards. In fires these hazards are not only a possibility, but rather a certainty. In the VES operation we mitigate these with turnouts-for flash protection, SCBAs for respiratory protection, helmets and PPE for mechanical protection, and speed to reduce time in the hazard space. So why could rescuers not use the same ensemble with the addition of PH-Paper to perform grab-and-go rescues for the guppy-breather in the confined space or even trench realm? Especially if the company officer and competent person can reason that other potential hazards seem manageable. In-and-out. Grab-and-go. Arbitrary fast turnaround. We make OSHA exceptions on the fireground. We are trained to risk allot to save allot. The last why for us to think hard on is- Why did Special Operations stop being special? A very basic Rescue Specialist will at least be up to speed in nine areas: EMS, Hazamt, Rope, Water, Wilderness, Confined Space, Vehicle & Machinery, Trench, and Structural Collapse. Staying on top of these can be a full time job. Trust me. So why do Chiefs and Emergency Managers seem to think anyone can do these things? They put unqualified people on specialized rescues and teams. Everyone deserves to be saved. Our customers deserve a second chance at life. The people we are sworn to protect. Think about your family or kids- do you want the best for them? I do. Why people in high places cannot see this- I don’t know. People have opportunities to take classes. Virtually all 1006 rescue and 472 hazmat classes are free in my state. There is a huge distinction between certified and qualified. I would only trust a small percentage of the students that come through our rescue programs to do the job at the level that the people we protect deserve. Special Operations participants should be vetted, interviewed tested, refreshed annually, and mentally / physically fit for duty. The percentage of the general population in emergency services, that can perform at this level, is small. Think -FBI HRT, Secret Service CAT, Army Rangers, Coast Guard AST swimmers, Air Force PJs, etc. I would say somewhere in the realm of 3%, in my state, are guys I’d want responsible for my family at a technical incident. Instead team participation and training are used as political poker chips and virtual entitlement programs for the masses. It takes decision makers that have really done the job to empathize with the rescuers and the people being rescued. The they will tell you- “Oh I took the class. It was tough. It was hot. I know how it is. . . “ This is not so. The guy that acts like that guy would probably risk more for his next promotion than he would for a child in a raging creek. That’s no the heart of a real Special Operations rescuer. Rather, they strive to be humble, consummate, professionals. Their calling is tradecraft and a source of pride. They are courageous and daring, not recklessly so, but because of the operators next to him, on his team. Their confidence comes from years of training and experience and the knowledge that the guy next to him would risk all and do all for the team and the people we serve. The last one was long, but perhaps touches all of us in this field. It is important to use the knowledge and critical thinking responsibly. You will encounter closed minds and we are obligated to honor SOPs / SOGs within our teams and departments. In closing I would like to reiterate: do not accept old ways and the status quo blindly. Take courses, books, instructors, and check the facts. 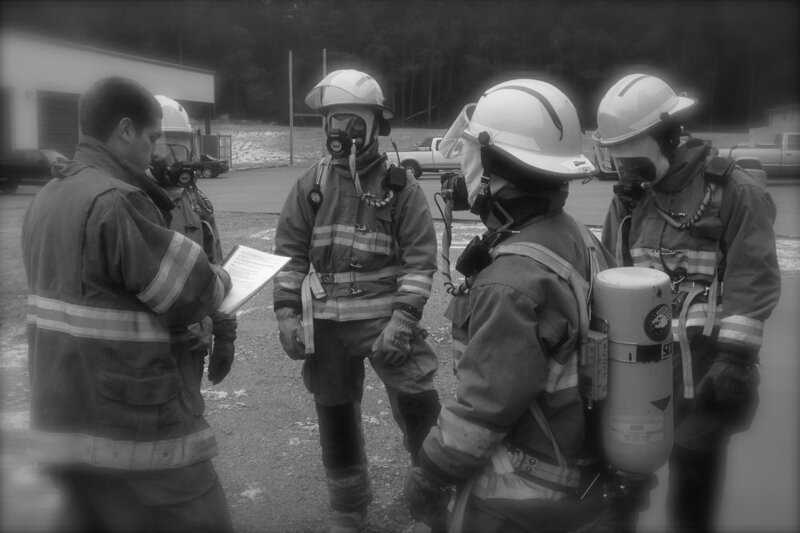 Conduct equipment trials and firehouse experiments. Try new methods and put the issues in the spotlight. Continue to ask why- just do it in the right way. Quietly and humbly enjoy the wins. Take your losses on the chin and sleep well knowing that you know the answer from firsthand experience. For a downloadable/printable pdf version of this article click here.